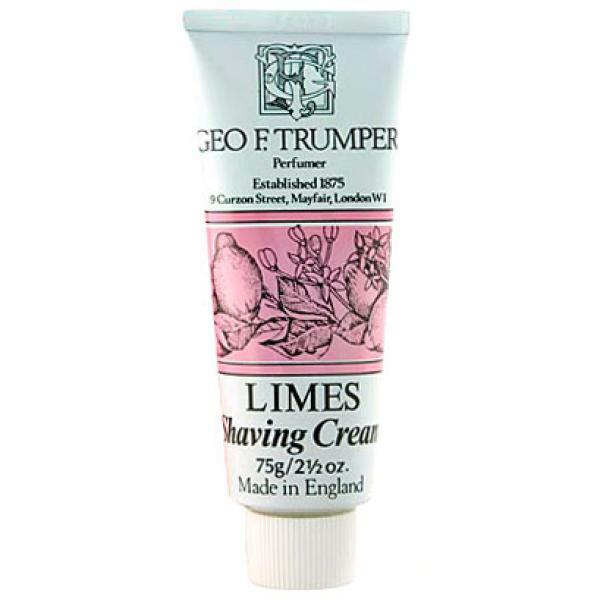 This carefully formulated, glycerine-based shaving cream is economical to use and gives an excellent lather for a comfortable shave that leaves the skin exceptionally soft.West Indian Lime extract for normal skin types. Aqua (Water), Stearic Acid, Myristic Acid, Potassium Hydroxide, Coconut Acid, Glycerin, Triethanolamine, Perfume (Fragrance), Sodium Hydroxide, Methylparaben, Propylparaben, CI 19140 (FD&C Yellow 5), CI 42090 (FD&C Blue 1), CI 14700 (FD&C Red 4). I have used a number of different shaving products since my teens and this is by far the best I have encountered, run only close by the one by Decleor. Whilst it felt strange at first to use a cream and for it not to lather greatly I soon found that this made no difference. In fact I can reliably say that I experienced the closest shave I have ever had. On top of that the lime fragrance is very refreshing. Previously I have found shaving just 24 hours apart has irritated my skin however this has significantly decreased with this cream. I cannot recommend it enough and for such a great price also. 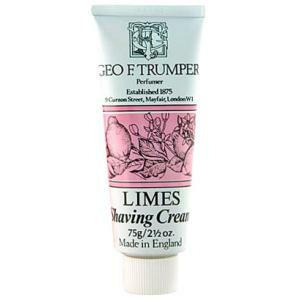 This Shave Cream - Extract of Limes is fantastic! A small amount goes a long way and the shave is really comfortable, especially for daily shaving and short stubble. Bought this for my husband for travelling. He says it is the best shave cream he has ever used and now uses it every day. You need very little and it leaves your skin really soft. I bought this to use with my Merkur razor and was amazed at how little you needed when used with a brush. It gave a great shave but, for me, the smell is a little strong and feminine. Maybe the lime one would be better. Great product, great price. Not overly strong smelling, but always gives a close shave, and the ideal stuff to use use with a brush when you want to take your time a bit. Good stuff.